Got the blues? Get this harmonica. 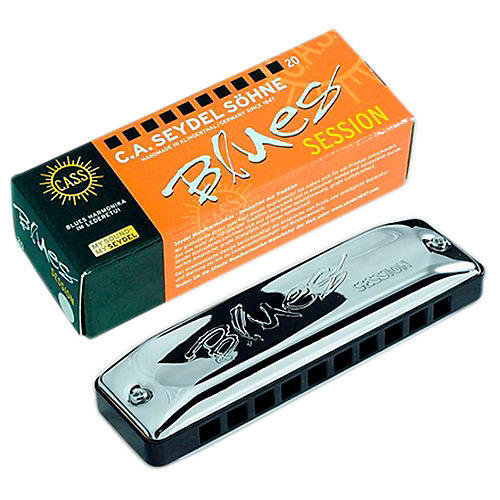 This is a superb blues harmonica with brass reeds, ergonomic covers and plastic comb. It is presented excellent playability and a fantastic sound. The ergonomic coverplates are made of stainless steel, and are completely rounded at the mouthpiece. Features include ABS comb with recessed German Silver reedplates, stainless steel rivets and screws, and lip and beard-friendly design. Comes with with convenient genuine leather pouch. Available in 20 different major keys and configurations. Built for the blues...Order today!